The internet of things is becoming a more and more interesting topic. 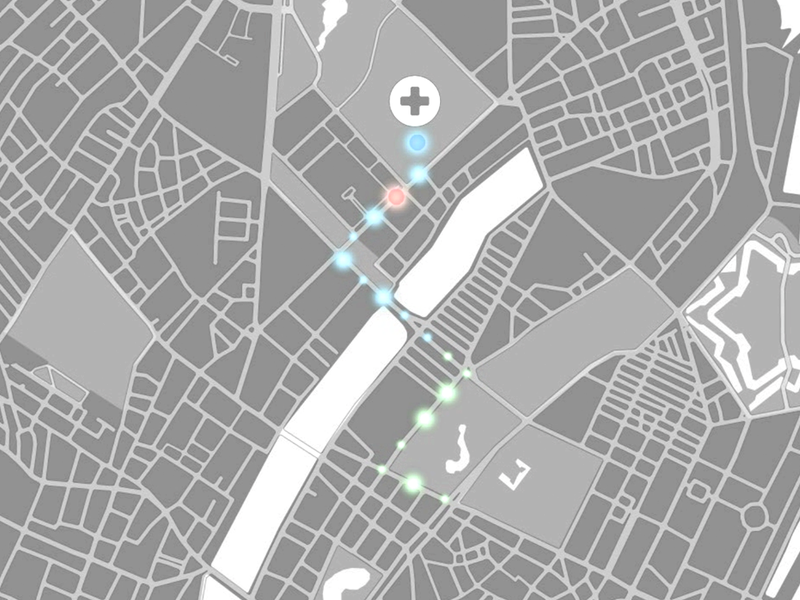 In this project we tried to explore how a networked city could become safer and more dynamic. Individually addressable street lights could give important feedback to citizens in real space. This is just one of our concepts around this technology. Alix Gillet-Kirt and I participated in a City Surfaces Course with Adam Greenfield and Mayo Nissen at CIID. Alix and I are both really happy with the results. Adam and Mayo are notorious advocates of smarter cities. 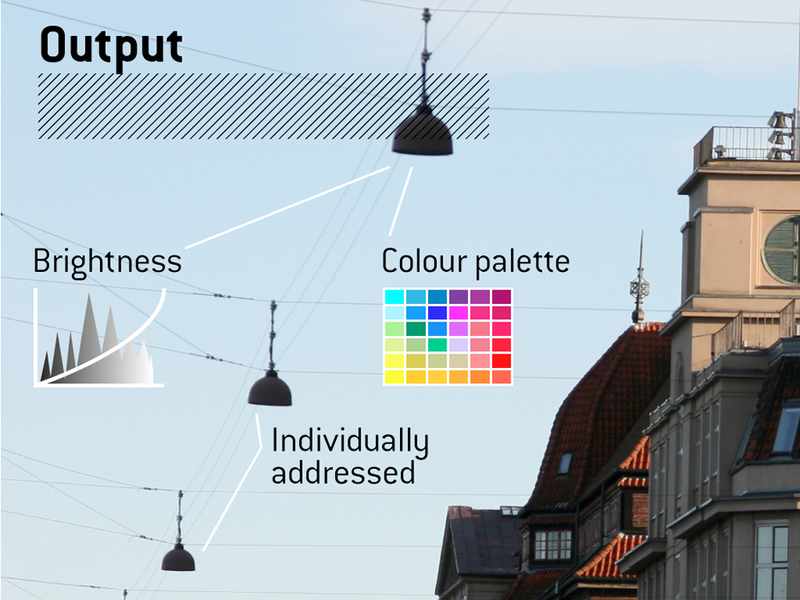 After an investigation in to how sensors are being embedded throughout urban spaces, Alix and I decided to look into how one could make enhanced street lights function as something of a graphical user interface for the city. Alix and I did some desk research on the current state of affairs of lamp technology to make sure we were drafting a concept that could be incorporated into present day city planning. What we found was that the streetlights of the present to near future will be LED based (instant on, can change brightness on command) and individually addressed on the network so each one could be doing something different. Even without adding projectors or futuristic technology you can already think of some pretty interesting ways you could use this kind of technology to enhance a city. We came up with a range of concepts but only illustrated the most pressing one: Enhancing emergency services. Emergency vehicles often have a very tough time navigating busy cities when civilians can not anticipate their moves around corners or through busy intersections. Copenhagen in particular has a great deal of bike and pedestrian traffic. LEaD the Way is a concept that would use enhanced street lights to give civilians fair warning of the emergency vehicles route so that they can make intelligent decisions about how to give way. This could happen even before the emergency vehicle is in sight. First Responders would simply press a button indicating they were heading to an emergency or back to base. They system would plot the fastest route for them and change light behavior as they moved through the city. We have imagined a range of solutions with this same technology. From cultural celebrations to city wide emergency evacuations we think this is a really interesting area to design for.